A Love It, Share It KidScents Tender Tush card has been added to the My Oily Kids page. This entry was posted in Bloom, Care Club, KidScents, Love It, Share It, Marketing Material, My Oily Kids, YL Infused Products and tagged Bloom, Care Club, Essential oils, KidScents, Love it Share it, Marketing Material, MightyVites, My Oily Kids, Samples, Sharing, The Oil Posse, The Oil Posse Team, Young Living on March 30, 2018 by Jordyn Lei. A Love It, Share It KidScents Shampoo card has been added to the My Oily Kids page. This entry was posted in Bloom, Care Club, KidScents, Love It, Share It, Marketing Material, My Oily Kids, YL Infused Products and tagged Bloom, Care Club, Essential oils, KidScents, Love it Share it, Marketing Material, MightyVites, My Oily Kids, Samples, Sharing, The Oil Posse, The Oil Posse Team, Young Living on March 27, 2018 by Jordyn Lei. A Love It, Share It KidScents Lotion card has been added to the My Oily Kids page. This entry was posted in Bloom, Care Club, KidScents, Love It, Share It, Marketing Material, My Oily Kids, YL Infused Products and tagged Bloom, Care Club, Essential oils, KidScents, Love it Share it, Marketing Material, MightyVites, My Oily Kids, Samples, Sharing, The Oil Posse, The Oil Posse Team, Young Living on March 24, 2018 by Jordyn Lei. A Love It, Share It KidScents MightyZyme card has been added to the My Oily Kids page. This entry was posted in Bloom, Care Club, KidScents, Love It, Share It, Marketing Material, My Oily Kids, YL Infused Products and tagged Bloom, Care Club, Essential oils, KidScents, Love it Share it, Marketing Material, MightyVites, My Oily Kids, Samples, Sharing, The Oil Posse, The Oil Posse Team, Young Living on February 13, 2018 by Jordyn Lei. A Love It, Share It KidScents MightyVites card has been added to the My Oily Kids page. This entry was posted in Bloom, Care Club, KidScents, Love It, Share It, Marketing Material, My Oily Kids, YL Infused Products and tagged Bloom, Care Club, Essential oils, KidScents, Love it Share it, Marketing Material, MightyVites, My Oily Kids, Samples, Sharing, The Oil Posse, The Oil Posse Team, Young Living on February 12, 2018 by Jordyn Lei. A Love It, Share It card for ART Toner has now been added to the “Infused Products” page. This entry was posted in ART Skin Care, Beauty, Bloom, Care Club, Love It, Share It, Marketing Material, Skin, YL Infused Products and tagged ART Skin Care System, Beauty, Bloom, Care Club, Essential oils, Love it Share it, Marketing Material, Moisturizer, Samples, Sharing, The Oil Posse, The Oil Posse Team, Young Living on February 28, 2017 by Jordyn Lei. 3 Wise Men has been added to the Love It, Share It card page. 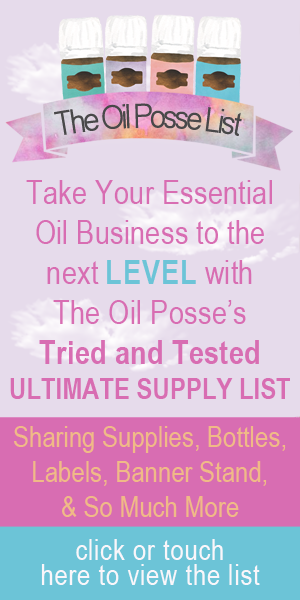 This entry was posted in Bloom, Care Club, Love It, Share It, Marketing Material, YL Blends and tagged Bloom, Care Club, Gathering, Love it Share it, Samples, Sharing, The Oil Posse, The Oil Posse Team, Young Living on February 9, 2017 by Jordyn Lei.